Andrew Hogarth – Brave Crusader! It seems such a long time ago that I was interviewed by Adam Walters for a story to be published in the Daily Telegraph Newspaper. Twenty-two years since the day when I thought my book and photographic work was just a passionate hobby. I had a steady paying job with Rupert Murdoch’s News Limited as a Graphic Reproduction Camera Operator and the recent publishing of 350 limited edition hardback of “The Great Plains Revisited” looked like the nine years of travelling the Northern and Southern Great Plains region of the USA had finally come to a end. 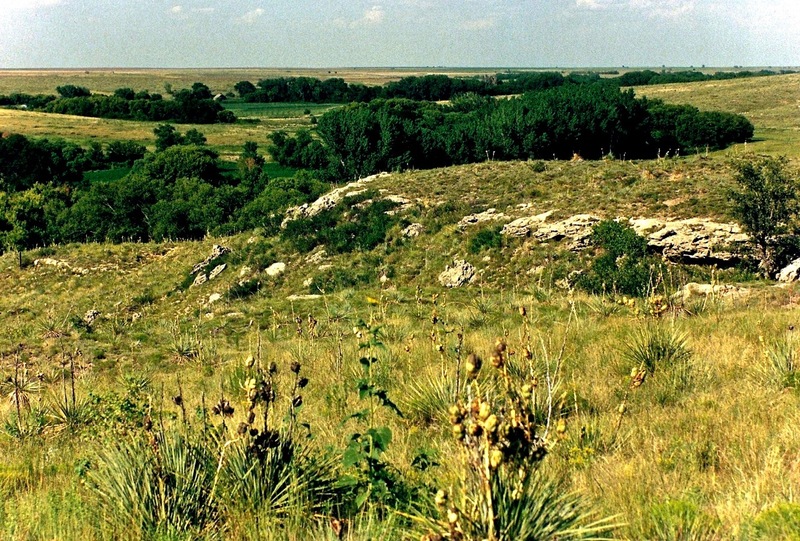 Little did I know at the time that locating the site of the Sappa Creek Massacre Site in northwestern Kansas in June, 1990 would start the second round of research and the publishing of four more books in rapid fashion from the period 1991-1994. 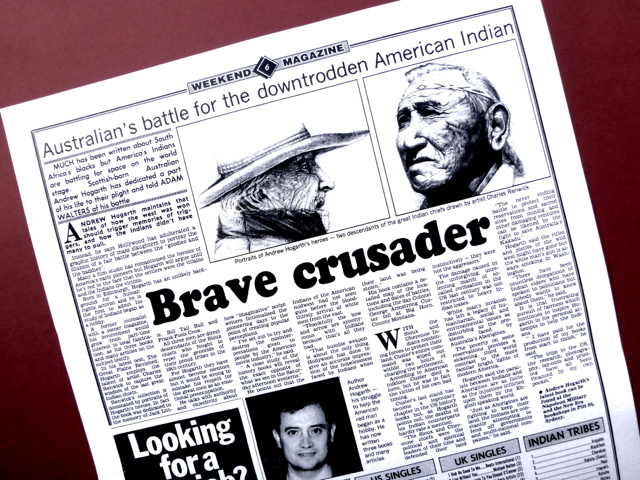 I have always been extremely proud of all my newspaper, magazine, radio and television articles and segments that helped spread the word to interested parties about the positive aspects of Lakota-Sioux and Cheyenne culture. Once again having to wear a series of different hats can be a daunting task at the best of times and one always prays that they all make it through the intersection of life without colliding into each other. The “Brave Crusader” article said that I was a human rights activist and up until then I had not really given it much thought. Still the interview with Adam went really well and he seemed to grasp what I was all about regarding my field research. What drove the publishing of the new book was the chance to share the complete photographic series of Lakota-Sioux Ceremonial Chief Frank Fools Crow after our meeting on the anniversary of the Little Bighorn Battle in June, 1989. This entry was posted onWednesday, August 22nd, 2012 at 11:15 pm and is filed under AHP Book Publishing, Sydney, NSW, Australia. You can follow any responses to this entry through the RSS 2.0 feed. You can leave a response, or trackback from your own site.